Can My Software Development Company Benefit from a Virtual Office? Let’s say the you live in Portsmouth, New Hampshire and develop software. 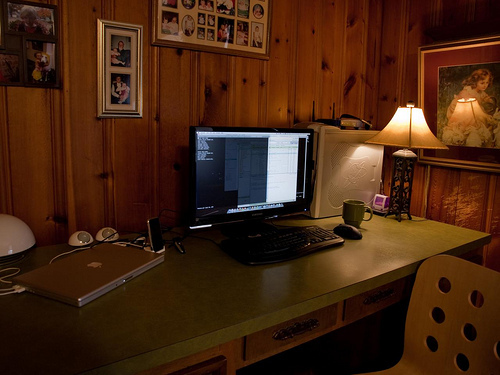 You work from home and develop software for companies around the globe. Your conduct all your business online and work from your home office. Occasionally, you’ll step out and treat yourself to a lobster roll on Ceres Street. However, you’ve been thinking about expanding your business presence to attract new clientèle. How can you do that instantly? Answer: By opening a Manhattan virtual office! You can go from a Portsmouth based home business with an Internet presence to having a business presence in a major metropolitan area instantly, for example: Manhattan! Your company now has 2 locations! Imagine how fantastic a Manhattan office address would look on your website! Opening a virtual office in another country can also make you an international company instantly and open up the market for you to sell your products and services beyond the US. Need local fax and phone numbers to complete your business presence? No problem! We can get them setup for you in a few hours. You can also have a live operator answer your calls, a machine answer your calls (voice mail) or, we can even transfer your Manhattan phone calls to you in Portsmouth. You can also receive your 212 Manhattan faxes right in your email in-box. Need to meet with a client or vendor in Manhattan? No problem. You can rent a fully equipped, fully furnished private office or conference room to meet with clients on an as-needed basis. You can even have your lunch or breakfast meeting catered in the office. Need a local hotel or restaurant recommendation? We can help you with ideas! Our knowledgeable staff is at your service. Our neighborhood is chock-full of first-class hotels, chain hotels and wonderful boutique hotels. Our neighborhood’s Michelin Stars sparkle amongst restaurants boasting top chefs, celebrity chefs, and world renown chefs. See how easy it is to open a Manhattan virtual office… Keep doing what you are doing in Portsmouth and we at VH International Business Solutions will handle your Manhattan business presence. Sit back in front of the HD flat screen on Sunday with a cold one, wings, nachos, family and friends and watch Super Bowl XLVI with no worries – if you have a virtual office! Entrepreneurs, small business owners, and professionals can enjoy the day just as much as your friends who can call in sick to work on Monday. We understand that calling in sick for you consists of an awkward one-way conversation in the mirror. Whether you stay up too late, have horrible heartburn all night, or had way too many cold ones – don’t worry. We are running your office for you. Take an antacid or an aspirin, hit snooze on your alarm and sleep for an extra few hours. Your virtual office is up and running and your clients will never know the difference. So go ahead and enjoy Super Bowl Sunday and don’t worry about overindulging, we’ll run the office for you.